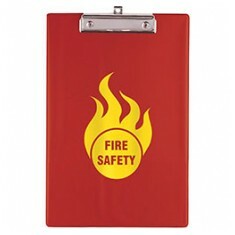 We have a range of custom printed Clipboards, all ready to carry your design. Personalised clip boards have a large branding area, ensuring your logo is clearly displayed, ideal for public surveys and conference events. Our whole range can be customised specifically to your requirements. 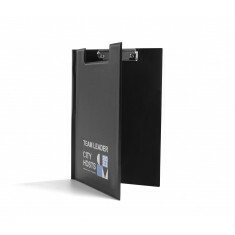 Promotional clipboards are incredibly practical products that can be used everywhere whether it is writing down patient details in a hospital or writing down score results at your sporting event. Our range includes various material types ranging from plastic and PVC up to PU leather and aluminium. 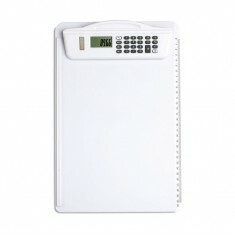 We even have one that has a built in calculator for figuring out those pesky equations on the go! 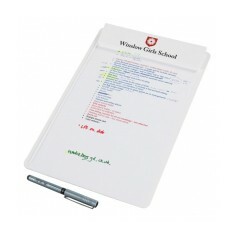 Customised clipboards are a incredibly handy items that are great for helping out on taking notes on the go. 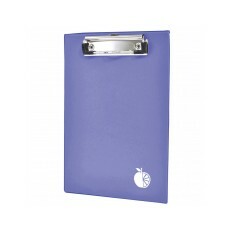 Keep everything from your time schedules and meeting notes to score sheets in front of your with a personalised clipboard. 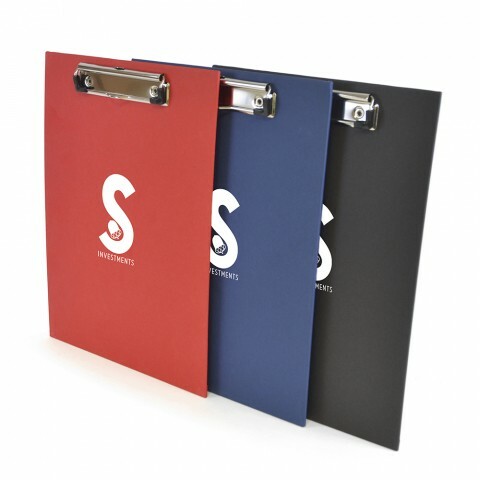 One of our favourites here at MoJo is the branded Barnwell A4 Clipboard that is available in 3 different colour variations. 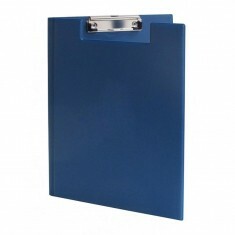 The oversized A4 clipboard is great for holding all types of documents and has a stainless steel clip for keeping everything securely in place. 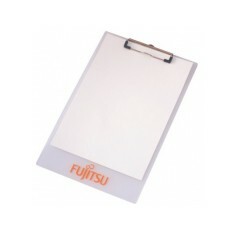 When you’re looking for one that is a little more premium, try out our customised Aluminium Clipboard. Made from aluminium and engraved with your design, this product is a great alternative to the traditional PVC style, making it ideal for any high end events or awards nights. Give our sales team a call today if you have any questions with regards to any of the products in this range. Paper-over-board design. Craft finish. 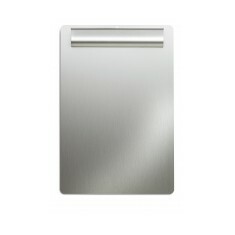 Stainless steel clip. 3 colour choices. UK stocked. Keep your loose papers from flying away with our custom br..
Wall hanging attachment. 4 colour choices. Custom printed to the front. Internal transparent pocket. 4 colour choices. Bespoke option available. 2mm clear transparent acrylic. Clipboard gripper mechanism. Sized to fit A4 sheets. 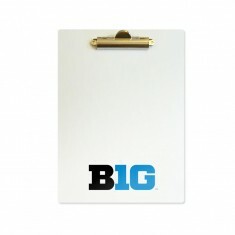 Solid Plastic A4 Clipboard with large clip, printed with your design. 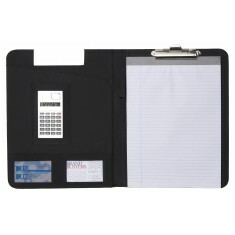 Our personalised A4 Polypropylene Clipboard is perfect for..
Clipboard with calculator on the clip and ruler along one ..
A stylish aluminium clipboard that can be engraved with yo..
Clipboard fitting. Bonded leather material. Includes 4 different features. Durable PVC material. Metal paperclip. 18 colour choices. Customised to large area on front.